How far would you go for smooth skin? Check out these 4 uncommon ingredients in these facials that vary from sperm to snail secretions. Kym Douglas, author of The Beauty Cookbook is on set with The Doctors today as they take a look at some extreme facials that use some eyebrow raising ingredients. These facials do everything from smoothing and moisturizing to stimulating collagen growth. While the first three facial products are available for purchase for at-home use, the Cereal Facial is an actual recipe from Douglas' book, The Beauty Cookbook. A synthesized version of spermine is used to soothe and moisturize as well as treat sun damage and diminish the appearance of wrinkles. The spermine is not real sperm, but rather a lab manufactured version that contains the carbohydrates and proteins which make the sperm effective as a skin treatment. If you have dry skin and clogged pores, you're probably prone to breakouts as well. The snail secretion facial opens pores and stimulates the growth of collagen and elastin. There are antioxidants that help improve the damage from free radicals. This amazing product made by Douglas lifts the skin and shrinks pores. 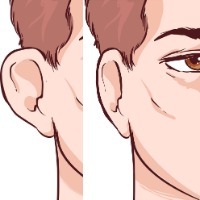 The consistency is tacky and it is applied to the face, moving upward and outward. The lift effect is temporary, about 24 hours, but there is a marked improvement. Doctors cast member Dr. Jim Sears tries the cereal facial, which helps exfoliate and moisturize the skin. The recipe comes from Douglas' Beauty Cookbook and uses Cheerios ground up in the blender with some lemon juice and honey to treat the skin. For those who feel they're ready to go to the next level, there are many options available from completely non invasive chemical peels to minimally invasive injections such as Botox and Dysport or facial fillers like Juvederm and Restylane. Depending on how drastic of a change you're looking for, laser treatments are available to improve skin tone and tightness. 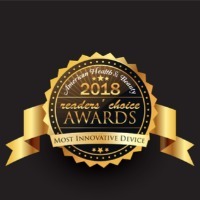 In an exclusive interview with American Health and Beauty, Dr. Matthew Schulman discusses how radiofrequency treatments such as the Reaction by Viora can tighten skin on the face without surgery. 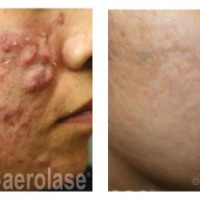 Other laser treatment options include Fraxel and Thermage. Of course, if you're ready to go all out, there is always the traditional facelift. But let's save that ace for when we really need it, shall we? Until then, bring on the spermine!